A beautiful handmade dress, perfect for flower girls, bridesmaids and any special occasions or a simply dressing up item for little girls! 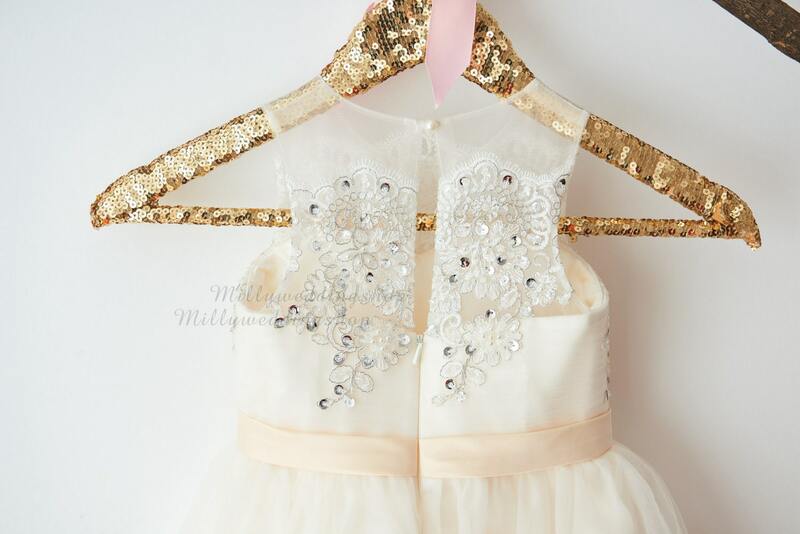 We ordered this dress for my daughter who is the flower girl in my best friends wedding. When I received the dress it was not like the one in the picture. The color was slightly yellow compared to the picture and compared to a picture I received from the other flowers girls mother. 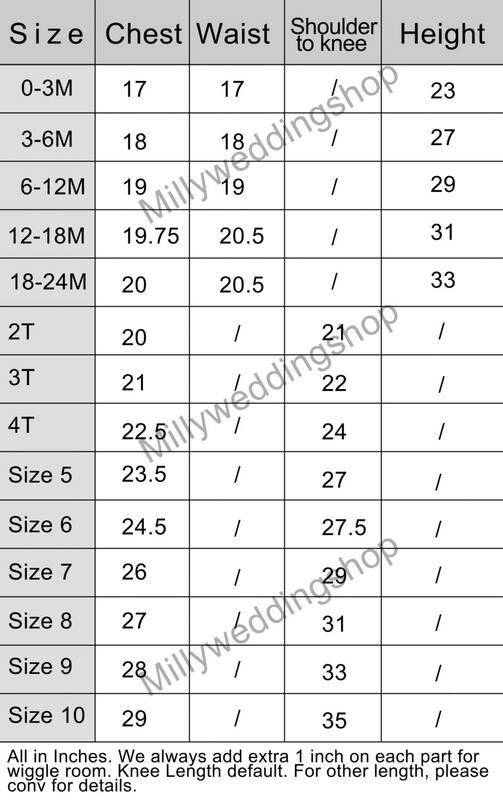 After several conversations with the Milly we figured out the dress were ordered from a different batch for material and tulle. Milly did offer a refund but it was to late to chose another dress for the flower girls. The dress it self is beautiful and very well made. The reason I a mentioning the color issue is for anyone who might be placing an order separately, you should be aware the material could be different and you should order at the same time. In the end it all worked out. The girls looked beautiful. Beautiful dress! Champagne color is a little more on the yellow side than I was expecting but it will still work. Thank you for your great work! The quality of this dress is AMAZING. 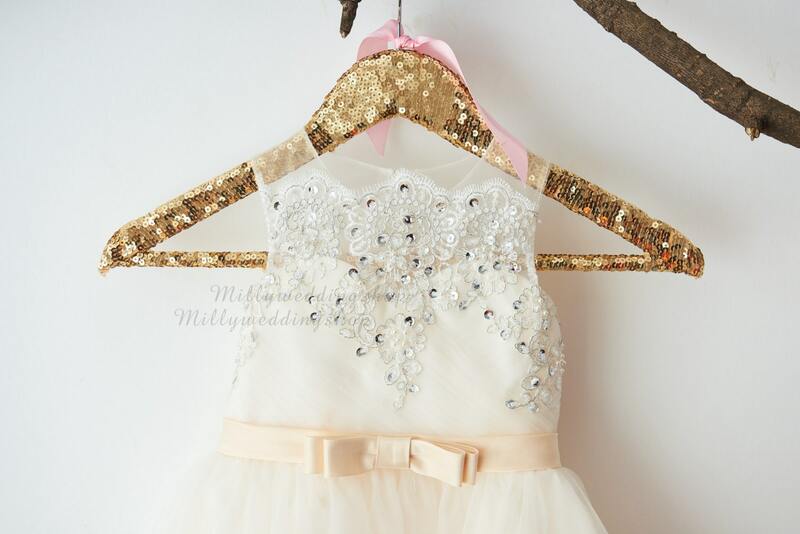 Although it's a girls dress, the quality is better than my David's Bridal bridesmaids dress. 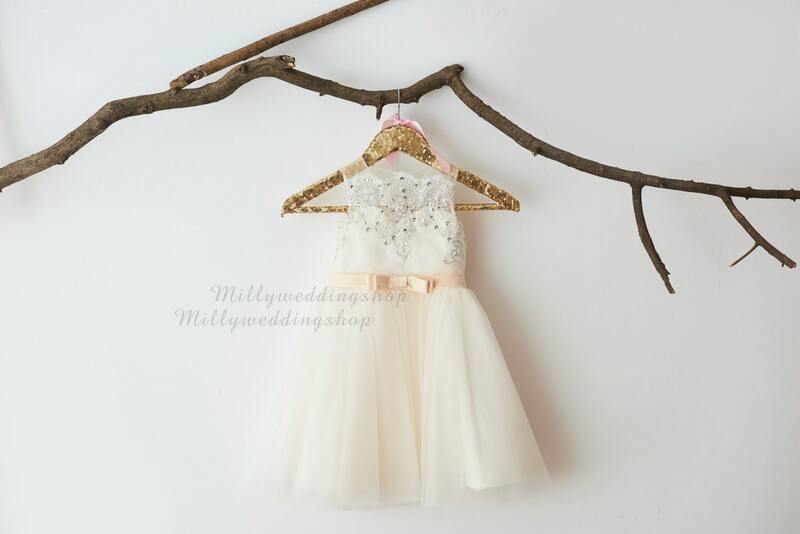 I will definitely keep ordering from MillyWeddingshop.